Chipmunks are one of Montana's cutest and most visible animals. 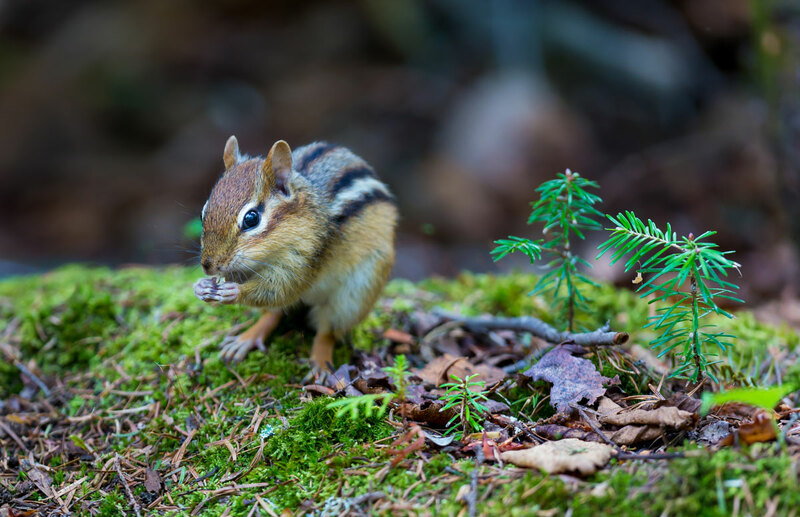 Of the sixteen species of Western Chipmunk, Montana is home to three of them: the Yellow-pine Chipmunk, the Least Chipmunk and the Red-tailed Chipmunk. Chipmunks eat all kinds of seeds, berries, grasses and even an occasional flower. They spend much of their day storing food for the leaner winter months. In Montana, chipmunks hibernate during the winter.